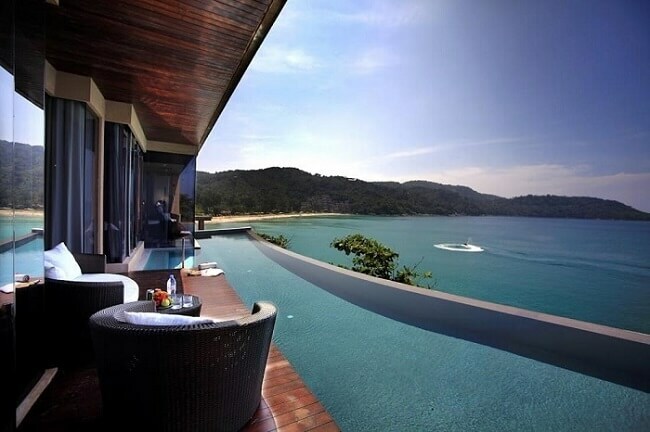 Explore these stunning 5 star hotels Phuket can be proud to boast about. 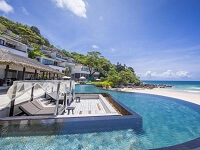 The hotels and resorts that we mention throughout this article are all located on the southern end of the island, from the beautiful Kata Beach down to Nai Harn on the southern tip of Phuket. Go on; have a peek at some of the luxury 5 star hotels available on the beautiful southern beaches of Phuket. You might just find somewhere special to treat your loved ones and yourself to a little luxury on your next holiday vacation in Phuket! I can assure you that after spending just a couple of nights at one of these luxury 5 star hotels Phuket is blessed with, you will leave feeling rested and rejuvenated. These luxury five star resorts and hotels are all set in stunning locations and offer the very best, as each and every one of them try to out shine the other. Some of the following five star hotels and resorts are well suited for couples looking for a romantic getaway where as others are more suited for family vacations. With so many luxury resorts and 5 star hotels Phuket has, you are truly spoiled for choice. Kata Beach is the place to go, it's a top destination for family vacations or that romantic getaway you have been planning. Kata can be busy through the high season, but is much more relaxing then Patong. You can read more about Kata Beach here. 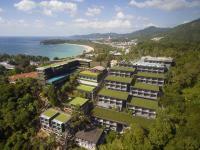 Novotel Kata Avista Resort is situated on the hilltop at the northern end of Kata Beach. The resort is in an excellent location and within walking distance to both Kata & Karon beaches and is the perfect getaway for a family vacation, with 2 stunning swimming pools. If you’re looking for beautiful ocean views the executive rooms are perfect. Read more about the Novotel Kata Vista resort on Agoda. Kata Rocks is pure luxury, be assured if you stay here you will never want to leave. The resort is located on the southern headland overlooking Kata Beach, consisting of 1,2,3 and 4 bedroom pool villas. Read more about Kata Rocks on Agoda. Nook Dee Resort is located overlooking both Kata & Kata Noi beaches. The views are absolutely amazing from the infinity pool and the roof top bar, especially on sunset. The deluxe panorama rooms offer the best views, and are a perfect choice for couples. Read more about Nook Dee Resort on Agoda. Kata Noi is a small bay, located just to the south of Kata Beach. The area is a popular spot for family vacations or a romantic getaway where you can relax and unwind. Whilst Kata Noi is rather compact there is an excellent variety of 5 star hotels Phuket can be proud to boast about. You can read more about Kata Noi here. The Katathani Beach Resort is set in a beautiful location at the northern end of Kata Noi. This five star beachfront resort is ideal for family vacations with a range of facilities specifically designed for kids including 4 kid’s pools and six swimming pools. Read more. The Shore at Katathani is the essence of luxury, located at the far southern end of Kata Noi. This five star resort is situated on a hillside with spectacular views overlooking Kata Noi Bay. There is a great selection of villas available from the ultimate Seaview pool villa to a choice of 1 or 2 bedroom pool villas. Read more about it on Agoda. Impiana Private Villas is a 5 star boutique pool villa resort, a sanctuary for those wanting to getaway from it all. Whilst there are only 11 villas at this resort there is a selection of different types of villas and suites to choose from including a family villa. 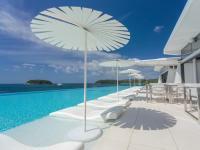 Read more about the villas on Agoda. Mom Tri's Villa Royale is another boutique 5 star hotel which is also located in the headland with views over Kata Noi Bay. Mom Tri’s is a charming 5 star hotel that is literally just steps away from the beach. The beach wing suites offer great panoramic ocean views. Read more on Agoda. Nai Harn is a beautiful bay at the southern tip of Phuket, just to the south of Kata Noi and north of Promthep Cape. This area is perfect for those who want to get away from the busy and well known tourist beaches in Phuket. 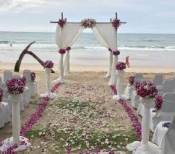 You can read more about Nai Harn Beach here. 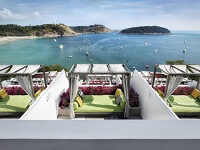 The Nai Harn Resort is located steps away from the beach. The hotel has a good selection of rooms and suites available, which are all located on the hillside giving you beautiful panoramic views across the bay. The location of this luxury five star hotel at the southern tip of Phuket is ideal for both families or those looking for a relaxing break away from the hustle and bustle. Read more on Agoda. 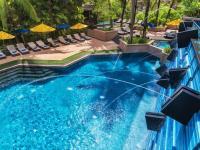 These are just some of the many luxury 5 star hotels Phuket can be proud to boast about and there are many more. 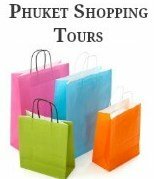 There are many more luxury 5 star hotels and family friendly resorts located on Phuket's northern beaches including a range of five star resorts and hotels located closer to Patong Beach.